Idaho Chicken Ranch: MORE Denver! 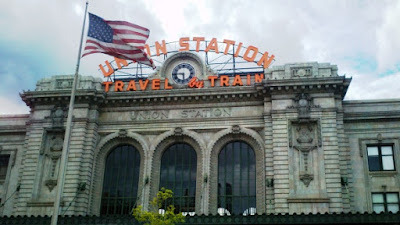 Union Station! I love old train stations. The one in Kansas City is particularly well done. We didn't get inside this one, but it sure looks fancy. 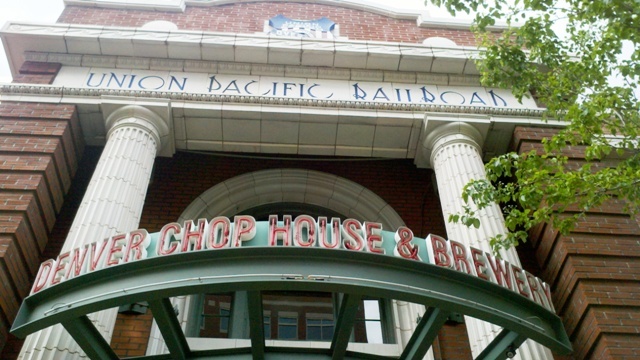 The Union Pacific Railroad and I go way back. ;) When Dad worked there we lived in LaGrande, sparking my appreciation for the high desert! Plus, the chophouse was fantastic! 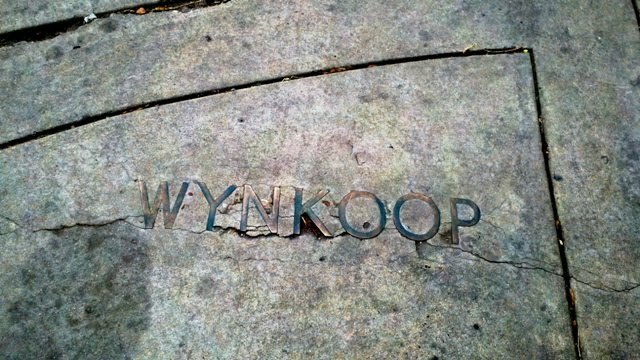 Wynkoop was an early founder of Denver. I love these decorative street names in concrete. I became obsessed with framing the view in the windowframe of our hotel. I took like 200 pictures of it. Coors Field! I'm not big on baseball, but having never been to a major league game, I'd love to go! The Rockies have something against me tho. I've been to Denver one or two times a year for like 5 years and they are NEVER playing when I'm there. OK, one more. I'll keep the other 198 to myself.